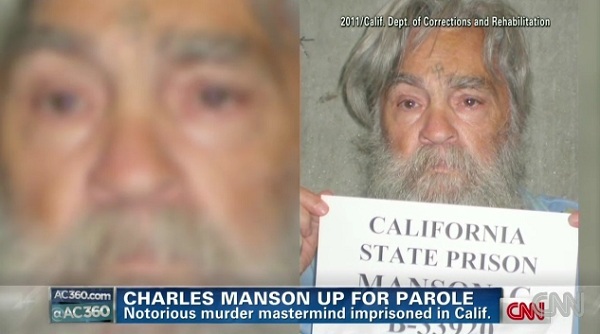 I don’t think a California parole board is going to release Charles Manson. 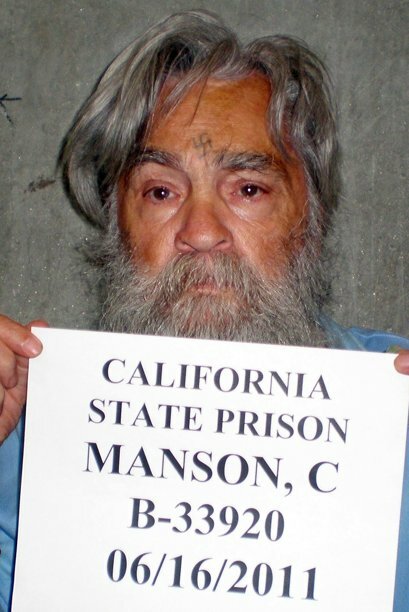 When a two-member panel holds a California parole hearing for notorious murderer Charles Manson on Wednesday, he will be represented by state-appointed attorney DeJon R. Lewis, who will urge the state to put Manson in a mental hospital, Lewis told CNN. Manson, 77, and Lewis, 45, who was a small boy at the time of the “Manson family” killings in 1969, haven’t yet met. In fact, it is unclear whether Manson will attend the parole hearing, his attorney said. Former prosecutor Vincent Bugliosi, who co-authored “Helter Skelter” and prosecuted Manson and members of his “family,” said he believed Manson won’t be paroled. “Look at his two co-defendants right now who are still alive,” he said of Patricia Krenwinkel and Leslie Van Houten, who are still imprisoned on life sentences. “He orchestrated and was behind all the murders. No hospital for Manson – just let him rot there. He deserves nothing better. An exercise in futility, because Charles Manson will die in prison. Charles Manson is not expected to attend his parole hearing next week, officials said. A parole board will consider Wednesday whether Manson should be released from Corcoran State Prison, though the chance of that happening is slim. The board has rejected parole for Manson 11 times. A prison spokeswoman told The Associated Press Thursday that Manson has informed local prison officials that he will not be at the hearing. Nonetheless, the Los Angeles County district attorney’s office said it would vigorously oppose Manson’s release. “We consistently (opposed parole) and will continue to do so,” said Sandi Gibbons, a spokeswoman. You remember what Charles Manson and his followers did, right? Tate, the wife of director Roman Polanski, was 8 1/2 months pregnant when she was killed at the couple’s hilltop home in Benedict Canyon on Aug. 9, 1969. Polanski was out of the country working on a film. 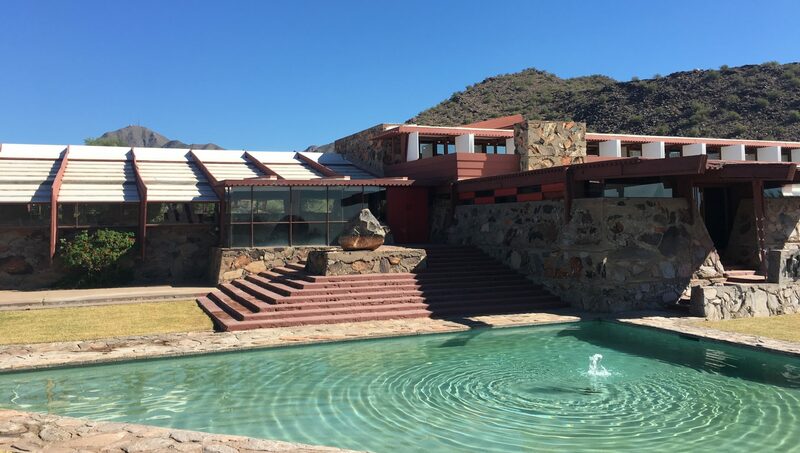 Besides Tate, four others were stabbed and shot to death, including Jay Sebring, 35; Voytek Frykowski, 32; Abigail Folger, 25, a coffee heiress; and Steven Parent, 18, a friend of Tate’s caretaker.The word “Pig” was written on the front door in blood. The next night, Manson rode with his cohorts to the Los Feliz home of Leno and Rosemary LaBianca, then left three of them to commit the murders. Manson was also convicted of the earlier murder of musician Gary Hinman in his Topanga Canyon home, and the slaying of former stuntman Donald “Shorty” Shea at the Spahn movie ranch in Chatsworth, where Manson had his commune. Manson initially was sentenced to death. 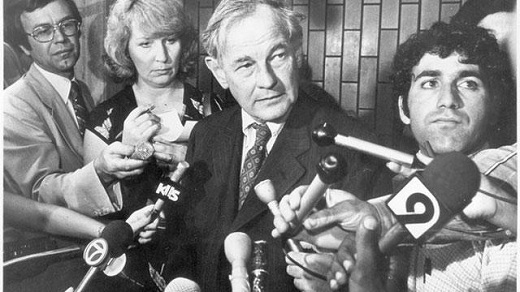 A 1972 ruling by the California Supreme Court found the state’s death penalty law at the time unconstitutional and his death sentence was changed in 1977 to life in prison. To think that these folks correspond with these despicable criminals. Some might find it shocking, others despicable and insensitive. Sometimes it’s called true crime memorabilia or murderabilia, artifacts from some of the most vicious crimes ever committed. And you may be surprised or even disgusted by what’s for sale. 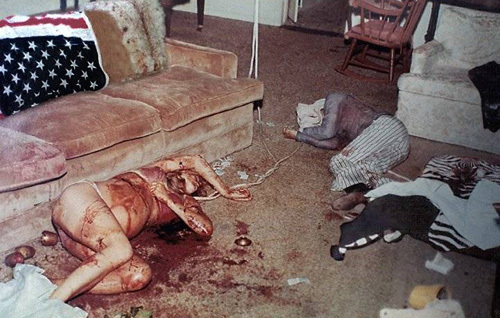 Many of us are guilty of finding something fascinating about true crime stories. But would you collect the finger nail clippings of a serial killer? You can find anything from death art work to prison issued clothing on murderabilia web sites. Who sells this material? How is it gathered? And why is a Houston victim’s rights advocate trying to stop murder for sale. There are items like a self portrait of Charles Manson, a painting by Richard Ramirez, serial killer wall calendars, a letter from Atlanta child murderer Wayne Williams, serial killer wall clocks, a letter from Unabomber Ted Kaczynski, serial killer snow globes and a letter from Charles Manson. But, there are first amendment issues, which I think will be hard to overcome.